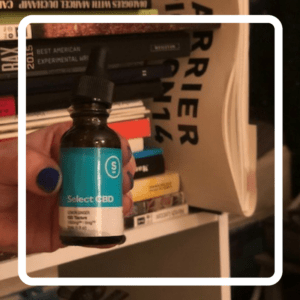 Select CBD Vape and Tincture review! First-hand experience with photos. Learn about all things cannabis. Save money on all your cannabis-related purchases online with coupons. 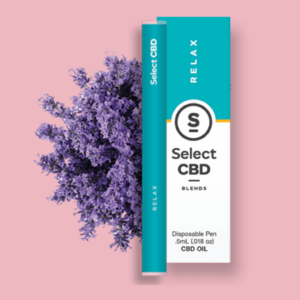 Select CBD is the sister brand of Select Oil, a cannabis brand with a solid reputation thanks to its consistently high-quality products made from carefully cultivated local plants and its knack for being one step ahead of most competitors when it comes to innovative technology. 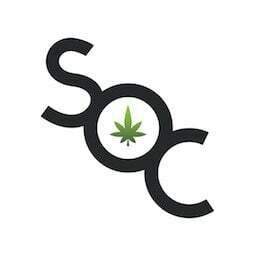 Select CBD employs the same rigorous multi-step product testing method and production philosophy as Select Oil while focusing solely on pure CBD products. Product Details: Disposable vape pen featuring a cartridge with .5 Gram of pure cannabidiol oil blended with organic essential oils. Dose / Serving Size: One quick inhale delivers 2.5mg – 5mg of pure cannabidiol. 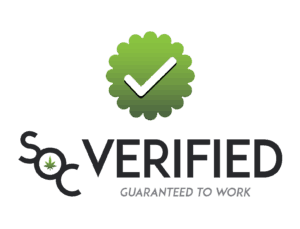 SelectCBD Vape Pen – Relax soothes anxiety and aids sleep. Product Variations: Select CBD offers six variations of the CBD Vape Pen with pure CBD oil blended with essential oils. Each variation features a different organic essential oil, delivering a unique aroma, taste, and effect. Convenience & Ease of Use: Six months ago, I had a disposable vape leak one-third of its contents onto my car’s backseat, so I am well-aware of how important it is for a vape pen to have a secure cartridge set-up. My two Select CBD vape pens were solidly built and didn’t loosen, leak, break, or warp, even after a few weeks being tossed around in my purse. My experience: At first, it felt a little strange tasting lavender since it’s a scent I associate with decor mists, relaxation candles, and bath and body products. However, I quickly fell in love with the experience. I felt my neck and shoulder muscles relax immediately after my first two inhales. After another inhale, my mind felt more peaceful. I didn’t get drowsy from inhaling this pen but was definitely more relaxed. I have used it a few times a day since and plan on buying another one to continue use. 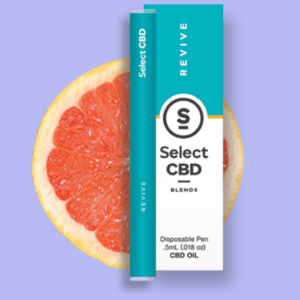 Select CBD Vape Pen – Revive delivers an energy boost. My experience: I was pleased with the gentle citrus flavor and scent of this vape pen because I have tried citrus products in the past with strong citrus flavor that I didn’t like. This flavor reminds me of an orange popsicle and is just enough to refresh and perk up my senses. In fact, I preferred the taste and aroma of this vape pen to the lavender. After three inhales, I felt more focused and energized without any of the anxiety or stressful feelings that I get with caffeinated products. I keep this pen at my desk and use it throughout the day to revive my brain and body. I plan on purchasing one in the future. 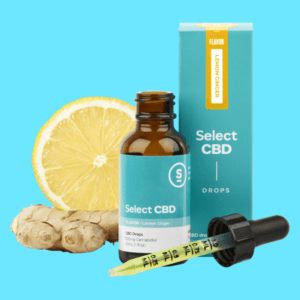 Select CBD Drops features pure CBD tincture blended with organic extracts and essential oils. Product Details: A 30ML bottle contains 1000mg of pure cannabidiol tincture oil blended with essential oils and natural extracts (about 600 drops total). Intended for oral consumption or topical application on the skin. Dose / Serving Size: Each drop contains about 1.6mg of pure CBD. 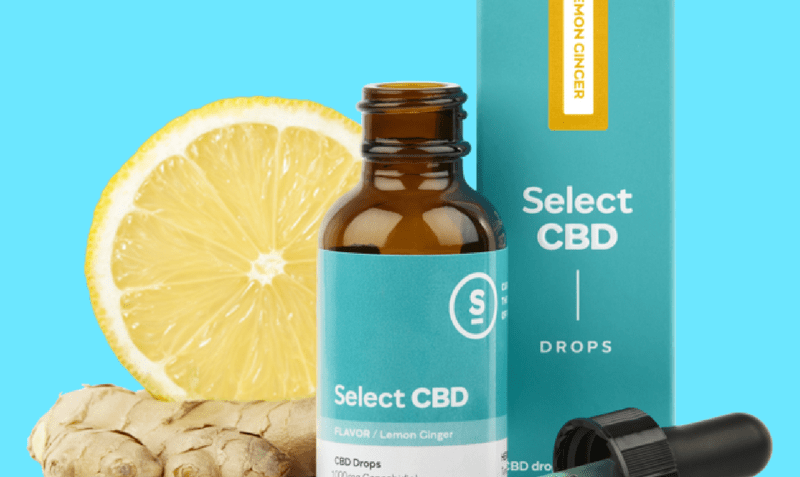 Product Variations: Select CBD offers four variations of the CBD Drops. Three variations feature a different organic essential oil blend, delivering a unique aroma, taste, and effect. One variation is “unflavored,” consisting of only pure CBD drops. Convenience & Ease of Use: Comes with dropper labelled in quarter mL attached to product cap which allows for easy, fast, accurate dosing. Make sure to screw on the cap tightly so that it seals. If you don’t, the oil will leak (this happened to me). My photo of my bottle of Select CBD Drops. You can see where the oil spilt onto the label when I forgot to close the cap tightly after using it. My experience: I chose the lemon-ginger option because its ingredients suggested it would be best for treating the assortment of digestive problems I have from time to time (ginger and turmeric are great for stomach distress and boosting the immune system). While the health benefits of this blend are amazing, the taste is an oily orange that I won’t be pouring over my ice cream anytime soon. That being said, the flavor isn’t unbearable and it’s in line with what I expected it to taste like, given the ingredients. I really like how easy the dropper makes dosing and I can store it all together without the threat of losing anything. I didn’t screw the cap back on tightly enough so I did get some spillage down the side of the bottle so don’t forget to double-check the lid when you’re finished! Disclosure: I received these products gratis so that I could try them and then share my honest opinion with the SOC community. Though I am employed Save on Cannabis as a consultant, I did not receive compensation for writing this review. 25% OFF at Select CBD on 100% organic CBD products with essential oils! US shipping. Click any box to filter content, uncheck box if want to see all.